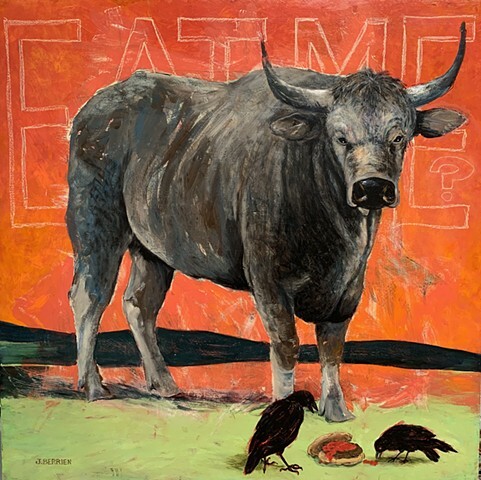 Big, dirty steer regarding us, the words "EAT ME?" are written behind him. Two crows pick at a hamburger in the grass at his feet. Yum, sure looks tasty!